Posted on Sunday, October 18th, 2015 at 21:57. Hey folks! 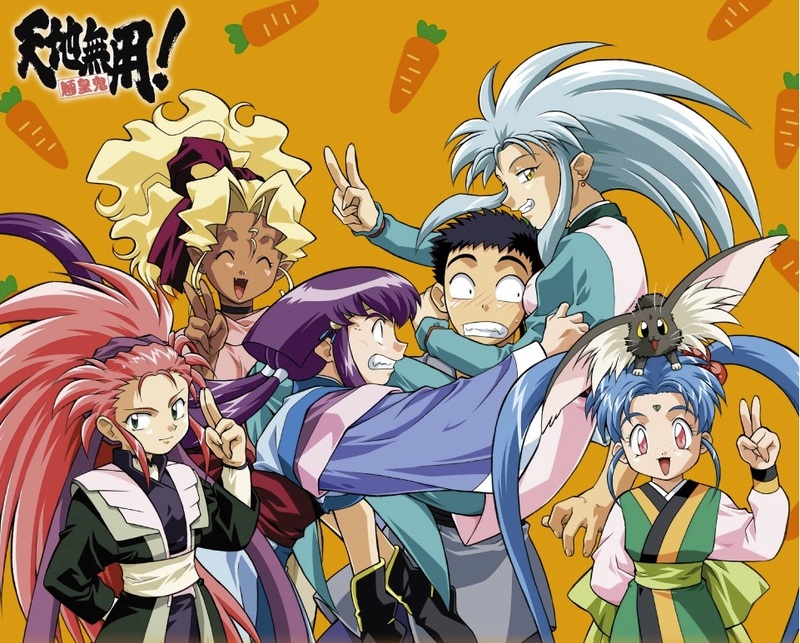 Yes, as you are already well aware, the official Tenchi Muyo! Ryo-ohki OVA 4 website is now up and running, and there’s the official OVA 4 Twitter feed too. It is a good time to be a Tenchi Muyo! Ry0-ohki fan, eh? You know, back when OVA 3 ended and over the years since, a lot of fans have asked me on if I thought there’d ever be an OVA 4. Until recently, my answer had always been no. This was based on the old AIC interview with Kajishima-sensei (done prior to the release of OVA 3), which they published in English (or rather Engrish) on their now defunct website. K: The easy way to put the whole things is, Tenchi Muyo! the 1st, 2nd and 3rd are like in WW2. The Chapter 2 of OVA are post WW2. Kajishima-sensei called OVA 1-3 as “Chapter 1,” which was the story of Tenchi. That story was completed, so for him, the story afterward was all about life with Tenchi and his harem. Since Kajishima-sensei seemed down on the idea of there ever being another canon OVA series, I figured we’d just get canon spinoffs, which we did. After War on Geminar came out, I figured that Paradise War would be the next project to get animated. Indeed, indications were that Kajishima-sensei proposed it as a new anime series, but apparently, AIC wanted to see this in book form first, judge the sales of the book, then decide on whether to animate the series. However, in the last couple of years, Kajishima-sensei kept hinting at something else coming down the pipe. He teased us with the -If- doujinshi titles, which depict in color storyboard fashion events happening to Tenchi and his harem after they start having children, and even included moments for Seina (Tenchi Muyo! GXP) and his harem’s children. It was only then that I even began to consider that we might get a 4th OVA series, but even then, I erred on the side of caution and figured that things probably wouldn’t pan out. Thankfully, they have. At the moment, we don’t have any information on what the series will be about, but if I had to guess, I’d say it will be based off of the content of the -If- doujinshi. I’ll certainly do my best to update the FAQ site as information comes to me. Thanks to everyone who sent me a heads up on this! I just really really hope that it won’t drop in quality (animation and design-wise I don’t expect the OVA 1-2 thats lost tech these days. Just decent in line with OVA3). finally. the long wait as ended. If not the -IF- story arcs, I would like this to be about the gang’s potential life on Jurai. More so, I think it would be interesting to develop that storyline of Tenchi’s unnamed son, who joins with the astral-projection of the sister of the first Emperor and their adventures, but perhaps that would constitute as a “spinoff” rather than a Ryo-Ohki canon piece. Either way, I’m ecstatic that this is becoming a reality. 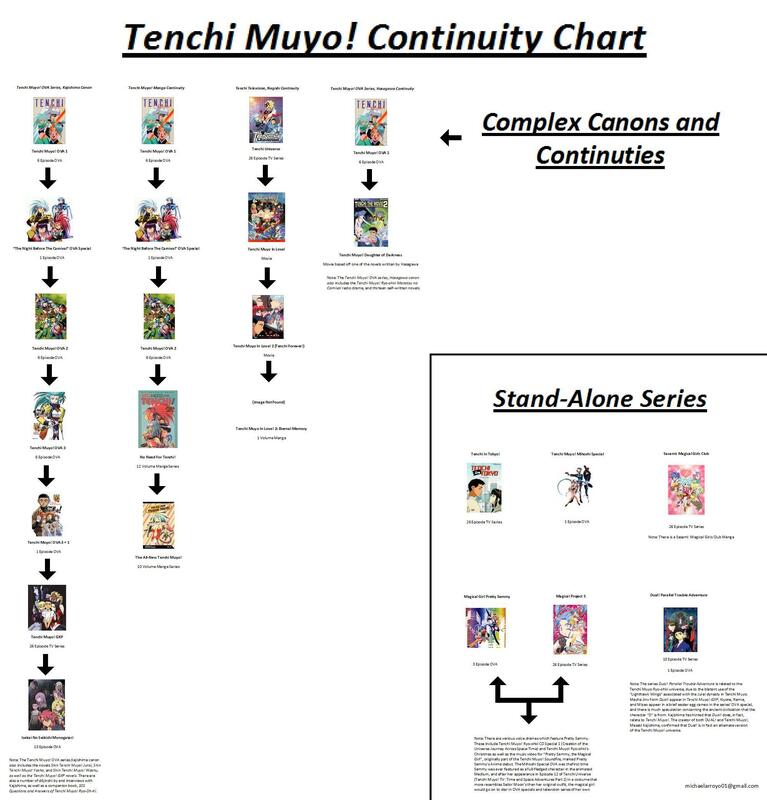 I was so disappointed with Ai Tenchi Muyo that I was left skeptical if the canon was ever going to continue. Luckily, I was mistaken. While I expect the -If- stories, I really would love to see the Shin Tenchi Muyo novels. Is the art of the website part of new OVA? It looks like their resume series where OVA 3 dropped off. Which would be disappointing, OVA 3 never clicked with me. It wasn’t much fun as easier ovas. Plot went to somewhere else when Pioneer went out business. No, the art is from OVA 3. No new art has been done for OVA 4, that I’m aware of. Plot went to somewhere else when Pioneer went out business. Pioneer became Geneon, but they were only a distributor. AIC is the production company, so I don’t think Pioneer/Geneon wouldn have anything to say about the story that was written. The only thing I ever heard Pioneer objecting to was more OVA series after OVA 2. The story I was always told was that Pioneer was the one who wanted the spinoff TV series that came out after OVA 2. K-sensei has dominated his series by then, even more so than with Pioneer. Secondly, there was no executive whom would change or stop his flow. The only thing AIC would stop would be whether he does a series or not. Apparently, AIC wouldn’t do his Paradise War series unless he made them as novels first and those novels sold well. AstroNerdBoy, where is your Series Tree, its not on website anymore. This would be nice addition explain the series stuff, even if it’s out of date. I’ll have to look. I never removed it. I really appreciate you keeping up to date with this. Tenchi Muyo! was one of the first anime I’ve watched and I immediately fell in love with it. There is so much potential within the Tenchi Universe that I feel Kajishima-sensei is set for life. On a more personal avatar note ANB, Junpei from Those Who Hunt Elves. Classic! One of the very few anime where I thought the dub was better than the sub, especially the first season! Keep at it. I know you’ve been following Tenchi for YEARS and I greatly appreciate all the information you’ve given us. You are welcome. It isn’t as easy as it used to be when I had more free time, but I do try to keep things up to date. Kajishima-sensei does at least two doujinshi a year, sometimes three. He’s still writing GXP novels, as I understand it. I’m not sure if he’s still doing Paradise Wars or not. ?Why do you say it’s probably going to be adapting the if manga? Sorry for the delay. I didn’t get a notification for this post. The -If- doujinshi were set up like storyboards for an anime. That is why it has been speculated that some of the stories will be based on them. I haven’t heard any information on that. Right now, the focus is on OVA 4, which is about to release episode 2. When did Episode 1 come out? November 30, 2016, if I recall correctly. That was in Japan. I don’t think a fansub has appeared yet. Considering that the Japanese are treating this OVA series like a limited edition thing, it won’t officially be licensed in America until episode 4 is almost out (or out) in Japan.